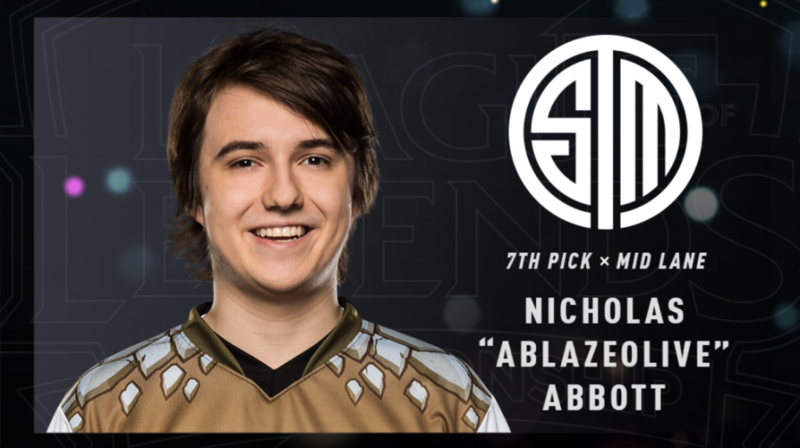 Nicholas “Ablazeolive” Abbott has come along way since the 2017 NA Scouting Grounds. The Canadian Mid Laner impressed organizations and peers alike and was drafted by TSM in the 7th round of the draft. Ablazeolive was signed to TSM Academy as the starting Mid Laner and given a chance to learn under the player he looked up to most: Søren “Bjergsen” Bjerg. One year later, I caught up with Ablazeolive during the 2018 NA Scouting Grounds to reflect on his experience and hear about his progress on TSM Academy and his future with the organization. 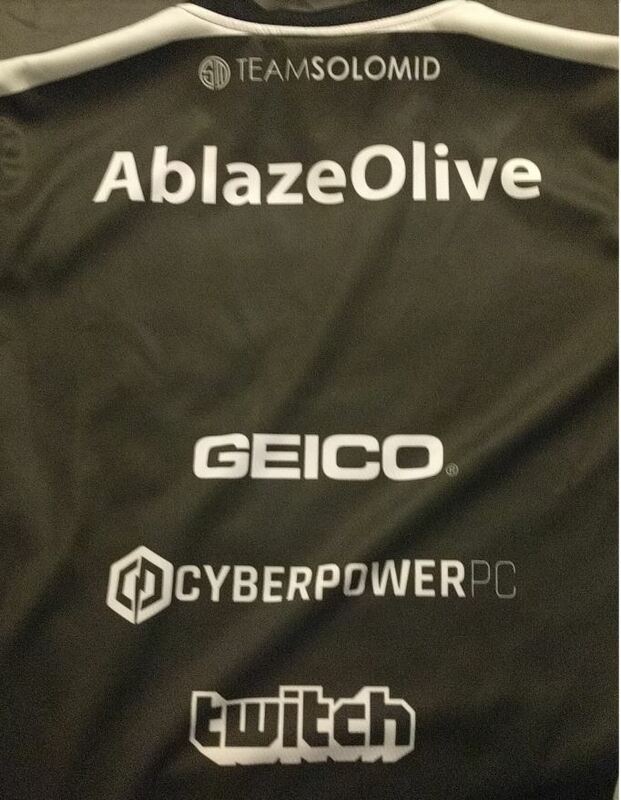 I’m here with TSM Academy Mid Laner Ablazeolive. How have you been spending your off-season thus far? I’ve just been relaxing since the Ranked season ended a few days ago. I had a personal goal that I was working towards, but other than that, I’ve been taking time off and watching Worlds and Scouting Grounds. As a 2017 Scouting Grounds attendee, were there any players who impressed you? I didn’t get to watch every game. I only watched about half of them, but the players who stood out to me were Soligo, Diamond, and Fragas. I’d say those were my top 3, at least in the stage matches I saw. In your experience, what does Scouting Grounds do well in preparing younger players for the next phases of their professional careers? I think probably the best quality Scouting Grounds has is the exposure that it provides Solo Queue players. A lot of the Scouting Grounds participants are either not known at all, or at least not well-known in the competitive scene. I think that being able to give them a platform to show these players what they’re made of — not only to people watching the event, but the teams working with them all week, too. For example, the players who didn’t perform well on stage had other qualities over the week that teams would desire. Maybe they have out of game factors that make them a good teammate, and that’s something organizations look for, too. How did Scouting Grounds help you as a player? Scouting Grounds gave me an insight as to how professional teams prepare for matches. It gave me a more appreciative understanding of stressful games, and being able to perform in stressful situations. That’s something I learned I had an issue with, but it’s something I’ve worked on and fixed since. That’s great to hear that you’re still making progress. Scouting Grounds has also tried to grow by making changes to the format and schedule to benefit the players. Were you approached by Riot for your opinions on the Scouting Grounds experience? I don’t know how much I’m allowed to say, but what I will say is that I think the biggest single improvement is the timing of the event. Last Scouting Grounds was much later in the calendar year and because of that, a lot of players didn’t end up going who were supposed to be the first choices because of the draft lock date. Some players signed before Scouting Grounds because they weren’t sure they would be able to get onto a team if they waited. This year, Scouting Grounds is before the free agency cutoff, and there was no draft lock this year. I don’t think there were any players who actively chose not to participate in the event, which was probably the biggest issue with last year’s Scouting Grounds. 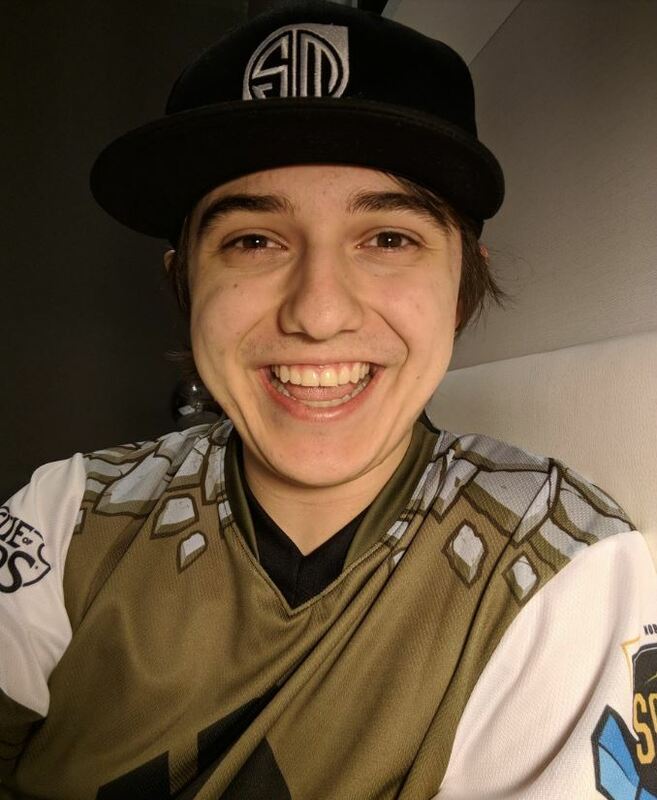 You’ve spent the past year on TSM Academy. Has your career since Scouting Grounds and being drafted by TSM meet your expectations given your experience in the NA Challenger Series? I would say nothing about the format surprised me too much. There are a lot more games in the season now, which I think is probably the biggest change. It wasn’t too big of a shock, because it was mainly just practicing, playing, and living and breathing League any time you were there. I wouldn’t say it was anything too surprising. As TSM Academy’s Mid Laner, what do you feel your main point of growth has been? I touched on it earlier, but the biggest thing I’ve learned this year is how to perform on stage in a closer performance level to my scrim play. I’m of the opinion that everyone is always going to perform worse on stage when compared to scrims, but the people who are going to look the best play very close to their scrim level. One of my biggest goals was closing the gap between my scrim performances and my on-stage performances, and I think it’s one of my biggest improvements as a player this year. Did this growth happen gradually over time? Or was there a specific turning point in your season where things clicked? I think it depends on what kind of person you are. For me, I took advice from Søren. He taught me what he does and gave me some books to read, and I went through a lot of different mental strategies to grow more accustomed with the stress and pressure of playing in a game situation. For me, it wasn’t just playing enough games, it was actually having to implement the strategy in the way that I practiced to better reflect the actual feeling of playing on stage. Do you have a chance to talk to Bjergsen often? It must be great to learn from a Mid Laner of his prowess. We talk quite a bit. We obviously didn’t spend a ton of time with each other because we were playing our own scrims. I would say that we definitely learned from each other. Naturally I learn a lot more from him than he learns from me, but there is a mutual benefit I think. Having another person to bounce ideas off of is always valuable, so I think we’ve both learned a lot. I remember you telling me last year how much you looked up to Bjergsen at Scouting Grounds. What was meeting him like for you? He’s a really nice guy. It definitely surprised me how hard of a worker he is, and how nice he is. Obviously I was really nervous because he is so well-known and so good and experienced and has all these accolades. He was very helpful in trying to facilitate the discussion between us. I didn’t want to bother him at the beginning, but to me it felt like he understood that it was kind of scary to bring up something like, “Hey, Bjergsen, what do you think about this?” That’s what it was for the most part at first: me asking him questions. Eventually, I got comfortable and we worked more together and ended up mutually benefitting a bit more. TSM recently announced its own Scouting Grounds trials. Do you think we will see other organizations follow this trend? Yeah, Echo Fox did something similar last year. I think it’s definitely something that can work out well as long as you reach out to the correct people and make sure the correct people see it. I don’t know if it would be a great benefit if every organization was doing it every year. I think if you want to get a good sense of what the competition is or what the domestic talent pool looks like, it’s a good way of getting your hands on players and seeing how they react in lifestyle choices, scrim environments, team settings, etc. Thanks so much for sharing your insights with me, Ablazeolive. Do you have any goals set for 2019? I think I’m just trying to be the best player that I can be, and do the best with my team that I possibly can. I’d also like to thank you for reading. Shout outs to TSM, Logitech, HTC, Twitch, HyperX, Cyberpower, Geico, Gillette, Dr. Pepper, Grubhub, and thanks to Nick for doing this interview with me.